The Cresswell Plot by Eliza Wass tells the haunting story of Castella Cresswell’s different life as she begins to come of age and think for herself. She lives with her five siblings- Hannan, Casper, Mortimer, Delvive, and Jerusalem- and her mom and dad. In her house at the edge of the forest, Castella is raised to follow God’s strict rules as told by her father. He preaches of the “purity” that only remains in the Cresswell family. However, during her school’s drama class, she meets shockingly normal George Gray who broadens Castella’ s ideas of the world. With her mind now open to the world around her, Castella and her siblings begin to test the faith upon which they were raised. I read this book in one sitting- I just couldn’t put this book down! The constant action of this book kept me on the edge of my seat the entire time. Another key aspect I loved about this book was how all the characters hid their motives from each other. I was constantly surprised by each character’s actions to events in the book, but they were all well explained shortly after. It made for some interesting plot twists that I did not see coming. Even better, Wass did a fantastic job of making all the characters have individual motives and be flushed out characters (something I always appreciate in a book). 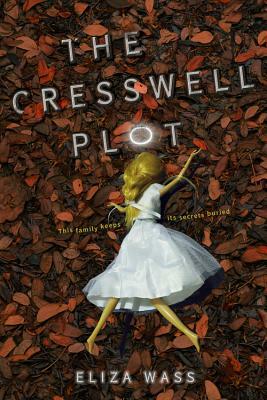 The Cresswell Plot is an eerie, fantastic read and I would recommend it to anyone who likes mystery/ thriller books! Next Next post: Since You’ve Been Gone: A Cute And Summer-y Book!